The Milwaukee M12JSSP-0 12V Wireless Jobsite Speaker uses Bluetooth to pair with portable electronic devices to stream music from up to 10m away. 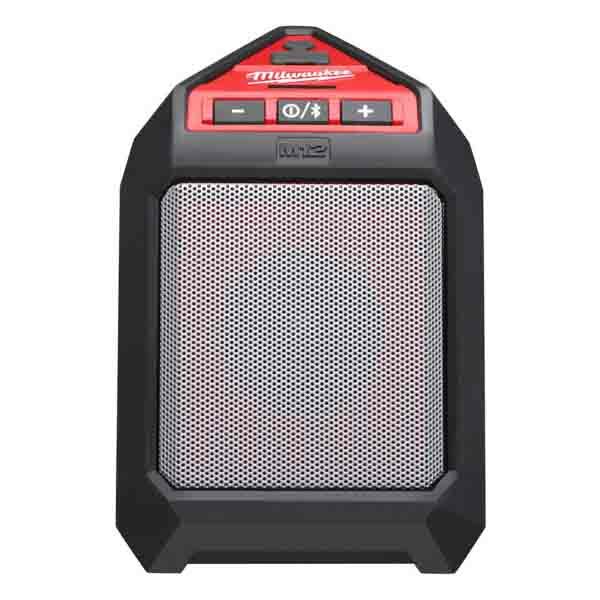 The big speaker sound gives you the durability that you would expect from Milwaukee. The sound is amplified due to the premium speaker and gives the user a loud, clear sound at all volumes due to the integrated bass port. Music has the power to change your mood, and our range of Milwaukee Bluetooth speakers are perfect for the job. We have wireless speakers and battery sets available, so you can effortlessly stream your music while you work. Small but surprisingly powerful, our range of speakers deliver on every front. Designed to be hard wearing, Milwaukee M12 speakers are tough, resistant to water, debris and dust, making them suitable for any jobsite. But this does not mean they compromise on sound. With a built-in bass port, these speakers provide superior audio quality, too. They also offer up to 25 hours of playback on a single charge and with wireless capability, you can connect a device at a range of up to 10 metres. But the great features do not stop there. We know that you need your phone to complete a job, which is why Milwaukee Bluetooth speakers also have a USB charging point, so you can keep your battery topped up. To make sure your speaker can keep going, choose one of our Milwaukee M12 speaker sets, which include 2Ah batteries and a charging unit. If you’re searching for a wireless speaker that is tough enough to survive even the most demanding work environments, then our 3-year guaranteed Milwaukee speakers are the clear choice. 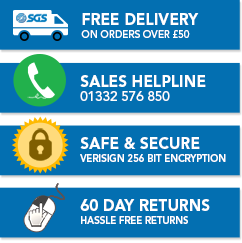 Order today before 4pm and secure free next-day delivery, to liven up your working day.